Translation Services My inTense week was a wonderful week. I felt that everything was well organised, yet the teachers were very quick to adjust to any requests I had. I was amazed at their ability to correct my language during lunch, while we were walking around and laughing together. It was really great! 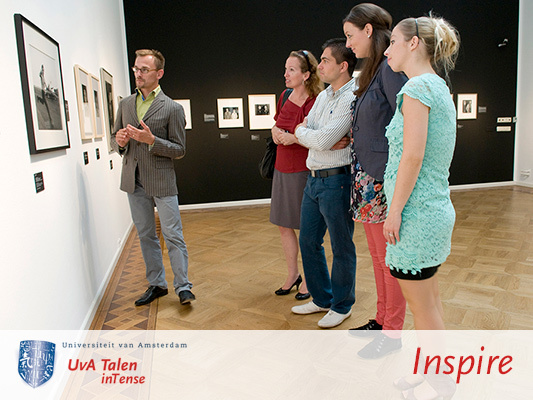 UvA Talen inTense: full-immersion language learning in the heart of Amsterdam! 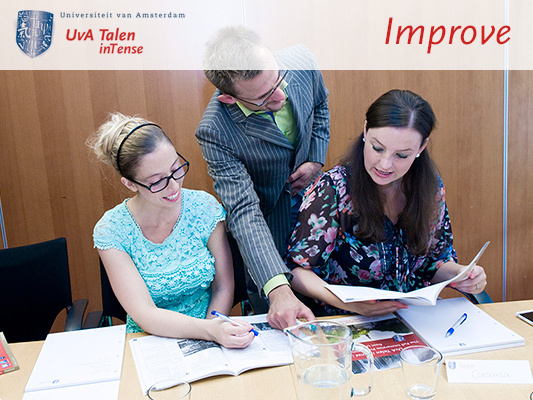 UvA Talen inTense provides full-immersion language training for professionals and individuals. Our training programme consists of modules that last one or several weeks. 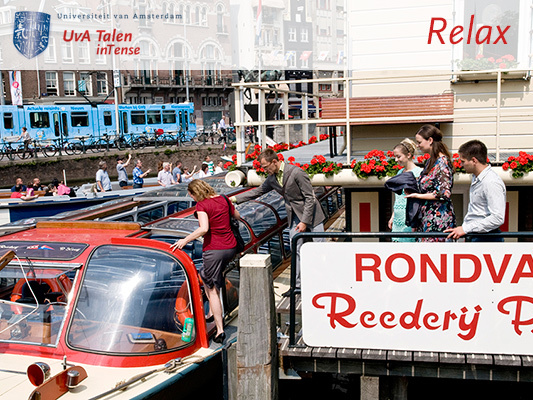 All programme activities take place in the centre of Amsterdam. During the training programme, you have the option of staying in an attractive, high-quality hotel that is just a stone’s throw from the Mint Tower and the Flower Market. From breakfast until the end of the day’s programme, you are effortlessly immersed in the language that you wish to learn. In this way, you can reach a high level in a short time and develop thorough, practical skills in your chosen language. Of course programme participants don’t spend the whole day in the classroom. Each day, the schedule includes one or more study-related excursions to the many wonderful attractions that the lively city of Amsterdam has to offer!